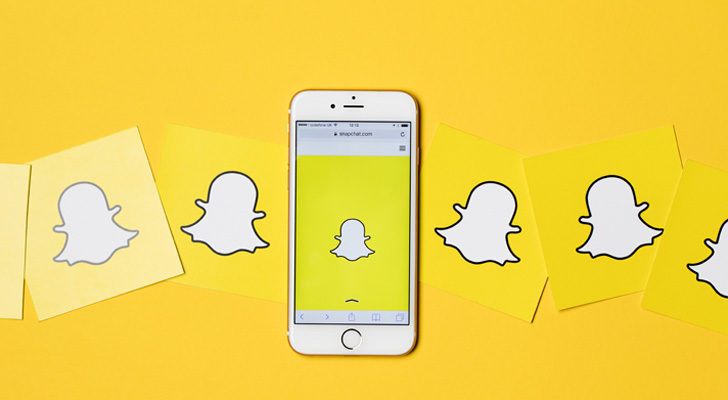 Bad news for Snap Inc (NYSE:SNAP), and by extension, for SNAP stock owners: its specially-designed Spectacles camera/glasses that make using its Snapchat messaging platform easy and fun have turned out to be a flop. In early October CEO Evan Spiegel said the company had sold over 150,000 of the glasses, but what he reportedly didn’t say was that hundreds of thousands of pairs of Spectacles are sitting in warehouses, unable to be sold. A reason in and of itself to sell your Snapchat stock? No, not quite. 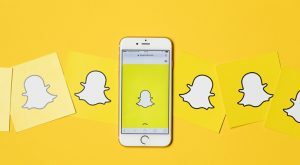 But, the overarching reason its Spectacles debacle was allowed to develop in the first place may well be a reason it’s time for faithful owners of SNAP stock to rethink their bullishness. For the record, the company has not confirmed (or denied) the claim from technology industry insight provider The Information that unsold Spectacles are piling up in warehouses. However, given how Spiegel has made a point of over-explaining in the past that Snapchat is first and foremost a camera company, not to mention his recent touting of the camera/glasses combo, the fact that only 0.08% of Snapchat’s regular users have purchased them does point to their broad failure. It’s not the reason SNAP stock is best left avoided, however. It’s a symptom of the reason. Kudos to Spiegel for starting a major company at the young age of 21, and turning it into a billion-dollar business; and congratulations to Spiegel for being the world’s youngest billionaire. Like so many other would-be entrepreneurs who weren’t in the right place at the right time though, Spiegel may have fallen into the trap of assuming something he enjoyed using could be turned into a viable business venture. That’s Spectacles, though, in a more overarching sense, it’s Snapchat itself. Yes, it has its followers, boasting 173 million daily users as of the quarter ending in August. That’s not enough perpetually pay all the bills though, and user-growth is already slowing well below the mark where at least the organization can break even. The operating loss (not the GAAP loss, but the operating loss) is still growing at a much faster pace than its top line is. At this stage in the company’s lifecycle, growth should be accelerating and losses should be shrinking. What gives? The same basic problem companies like Groupon Inc (NASDAQ:GRPN), Twitter Inc (NYSE:TWTR) and GoPro Inc (NASDAQ:GPRO) all ran into: just because you can build it doesn’t mean they will buy it, clever as the product may be. That’s not to say nobody’s buying Spectacles or using Snapchat (or not buying GoPro cameras or using Twitter). Clearly there are some customers. It’s a question of scale though, and stickiness. Most everyone agrees GoPro makes great action cameras. Not too many people actually want or need an action camera though, yet the company was founded and the stock was largely touted on the premise most households would want at least one. Most households don’t really care all that much. Likewise for Spectacles, which, like Fitbit Inc (NYSE:FIT), initially attracted a small, rabid crowd whose euphoria faded rather quickly. Even Snap’s data indicated that half of all owners of Spectacles stopped using them after a month, with a bunch of them shelving the glasses/cameras in just a week. In short, Spiegel overestimated the potential of Spectacles, which forces current and prospective owners of Snap stock to wonder what else he (or they themselves) have overestimated of the company. Is SNAP a Good Buy? Is SNAP a good buy at its still-depressed price? It’s a question many are still asking, knowing that companies aren’t defined by one product flop. Ford Motor Company (NYSE:F) survived the Edsel. Sony Corp (ADR) (NYSE:SNE) survived the Betamax. People are still using Snapchat, and the service is apt to be around in one form or another (for one reason or another) years from now. Surviving isn’t thriving though. Groupon is still around, but sales are stagnant and losses are still the norm. It has not been a good investment. There are a lot of parallels between Groupon, Twitter and Snap, in fact. That is, all three fell victim to creating a product each company thought was far more marketable than it actually was, with each organization’s leadership making assumptions rather than doing actual market research and making a sizeable financial commitment to a ho-hum product. In all three cases, their creators and early managers were young at the time, and a bit naive. To answer the question, no, SNAP stock isn’t a good buy. Not because it is a platform without promise, but because Evan Spiegel doesn’t really know what he doesn’t know. Time will solve that problem, but it’s going to take a lot of time. Article printed from InvestorPlace Media, https://investorplace.com/2017/10/snap-spectacles-flop-symptom/.